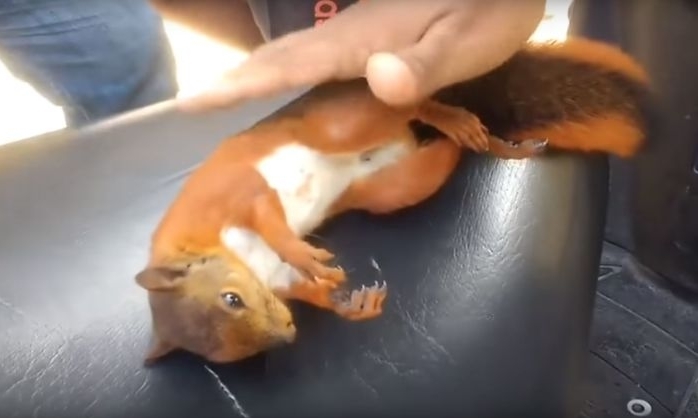 A group of young men became everyday heroes when they saved the life of a squirrel in Colombia. The red rodent reportedly accidentally electrocuted itself on the powerlines in Cartagena, a city on Colombia’s Caribbean coast. It was spotted by several unidentified persons, who picked it up and started trying to revive the rodent. Video footage of their Samaritan actions have since emerged online, and been shared on social media. 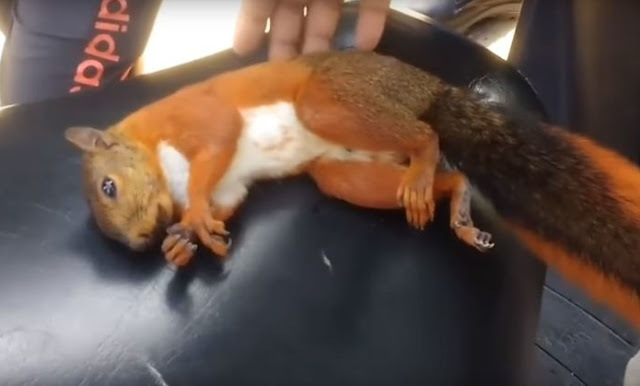 The video shows the squirrel lying on the seat of a moped, seemingly immovable. 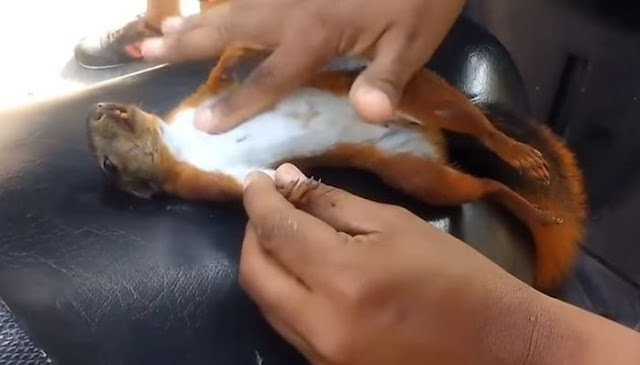 One of the young men is gently tapping on the squirrel's chest in an attempt to restart its heart. Not giving up, they keep working on the little rodent's heart for several minutes, until it finally starts breathing again. At first, the animal can be seen lying on its side, wide-eyed and panting - evidently frihhtened. But the people in the video keep stroking its back and soon it jumps up and off the bike. According to the person who uploaded the video, the squirrel 'ran back to the streets and went back to its home'. Responses to "Squirrel is brought back to life with CPR after accidentally electrocuting itself on a power line"